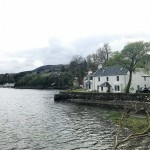 Note: The directions in this post is not my own is credited to our very kind and hospitable Bed and Breakfast hosts – Heatherlea Bed & Breakfast. A big thank you! This is not part of The Lost Valley Trail – just a sense of how the scenery looks like in summer. 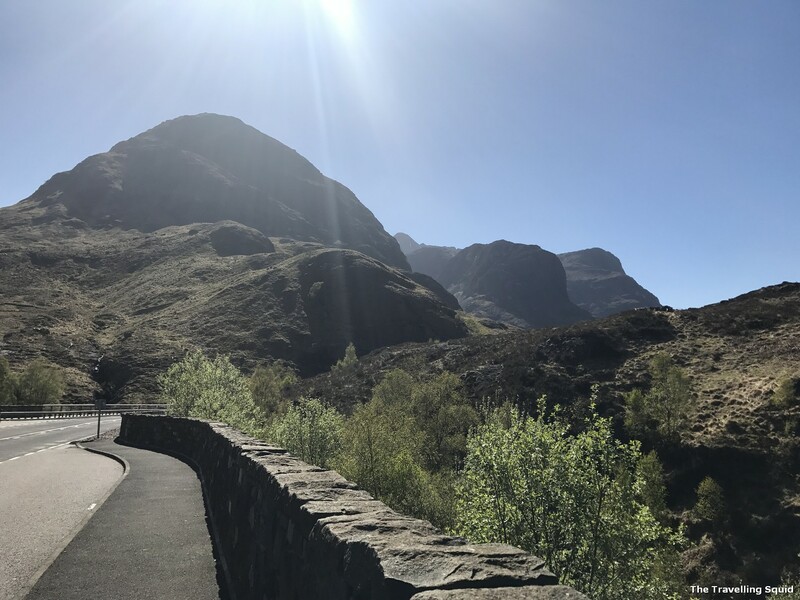 View from the parking lot on the A82. 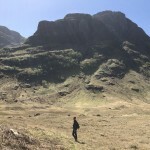 According to Discover Glencoe, The Lost Valley was where the Macdonalds (farmers I’m guessing) were supposed to hide the cattle they had stolen from their neighbours. 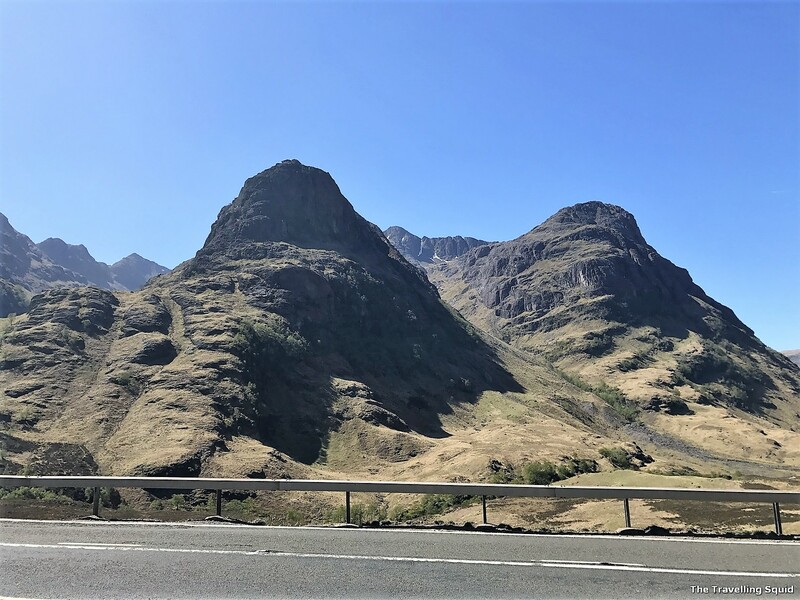 According to geologists, The Lost Valley was formed by the weight of ice that could not escape from the valley as the huge ice cap flowed down to the sea through the pass of Glencoe. 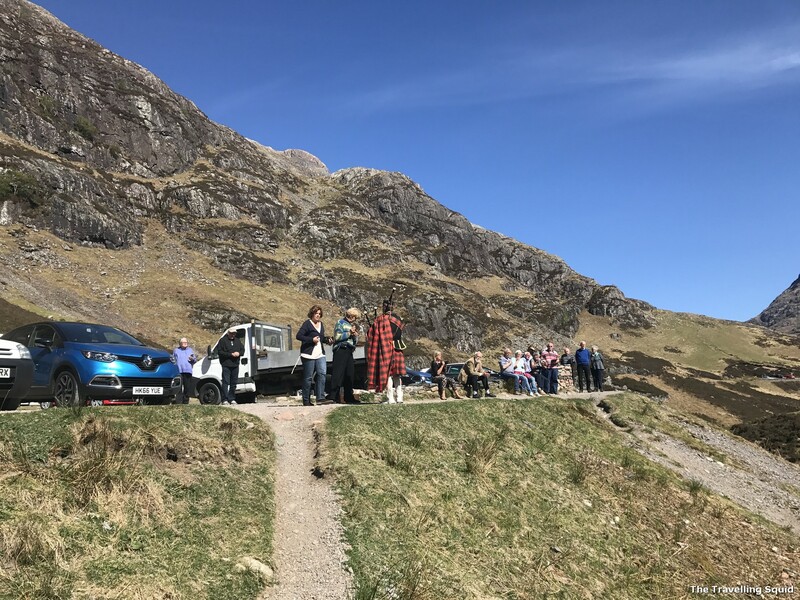 As the gorge is deep and a brief scramble is required, the Discover Glencoe asks that visitors contemplate on how the Macdonalds could get their cattle up there in the first place? I suppose, that will always remain a mystery. 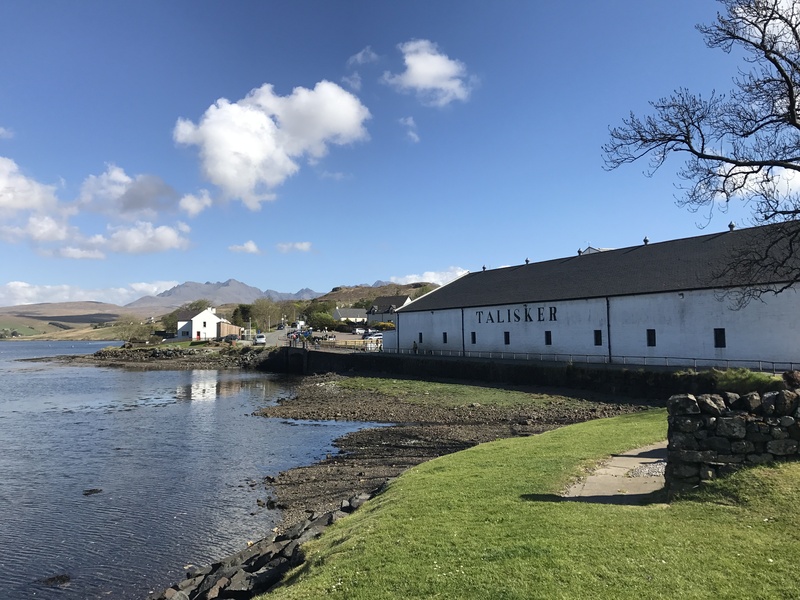 Parking: Along the A82 – there is a large carpark, with room for tour buses. It’s to the right of the road, when you come in from Glencoe. Path: Rugged and stony with a stream to wade through. A place where most cars and tour buses stopped. From the uphill corner of the car park, a faint path slants down to the old road, which is now a well-used track. Head up-valley for about 594m. With the old road continuing as a green track ahead, your path now bends down to the right. It has been rebuilt. The path reaches the gorge where the River Coe runs in a geological dyke of softer rock. Descend down a mental stair, to cross a spectacular footbridge. The ascent out of the gorge is on a bare rock staircase with a rope along the wall to help. Above, the path runs through regenerating birch wood, which can be very wet on the legs; sheep and deer have been excluded from the wood with a temporary fence. Emerge through this by a wooden gate. The path, rebuilt in places, runs uphill for 55m. The main contours into the gorge of the Allt Coire Gabhail. It is narrow with steep drops below. Where there is an alternative of rock slabs and a narrow path just below, the slabs are more secure. You will hear waterfalls, then two fine ones come into view ahead. 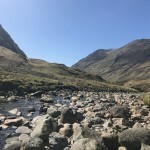 After passing these, continue between boulders to where the main path bends left to cross the stream below a boulder the size of a small house. (A small path runs on up to right of the stream, but leads nowhere useful.) The river here is wide and fairly shallow. Five or six stepping stones usually allow dry crossing. If the water is above the stones, then it’s safe to wade alongside them. If the water is more than knee-deep the crossing should not be attempted. A well-built path continues uphill, now with the stream on its right. After 91m a lump of rock blocks the way. The path follows a slanting ramp up its right-hand side. 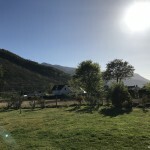 It continues uphill, still rebuilt in places, passing above the boulder pile that blocks the valley, the result of two large rockfalls from under Gearr Aonach opposite. At the top of the rockpile the path levels, giving a good view into the Lost Valley. Drop gently to the valley’s gravel floor. the stream vanishes into the gravel, to reappear below the boulder pile on the other side. Note where the path arrives at the gravel, as it becomes invisible at that point. Wander up the valley to where the stream vanishes, 400m ahead. Anywhere beyond this point is more serious hillwalking than you have done up to now on this walk. Return to the path and follow it back to the start of the walk. Two peaks of The Three Sisters. The walk does seem challenging for a city kid like me. The start is somewhat similar to what we had experienced, it’s just that I think we might have gone a different path, uphill instead. We crossed a wooden bridge instead of a metal staircase. 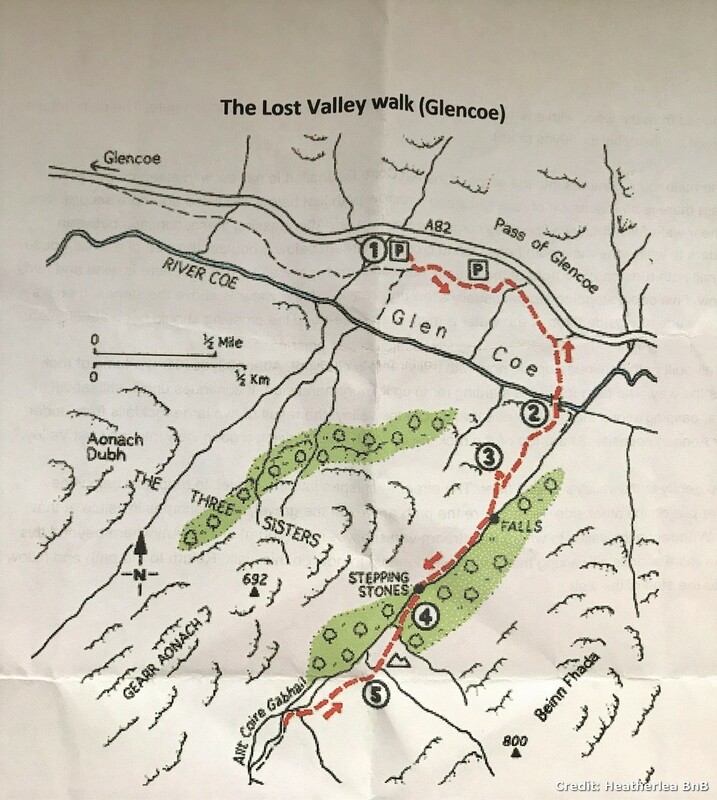 Hope you do find directions to the Lost Valley Walk in Glencoe useful! If you have taken the trail, would appreciate your comments on how it was like. 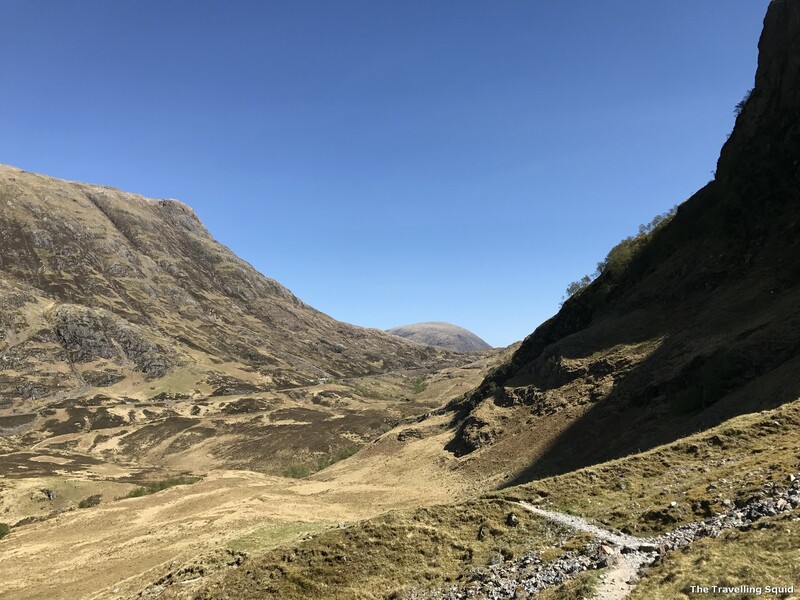 Coming up: Our experiences on trekking in Glencoe. 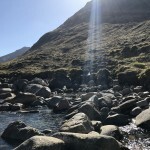 3 Responses to "Directions to the Lost Valley Walk in Glencoe"